The new logo, tweeted by the station’s investigative producer Barb Markoff, places a large, serif capital “I” in the center surrounded by circular trails of light. 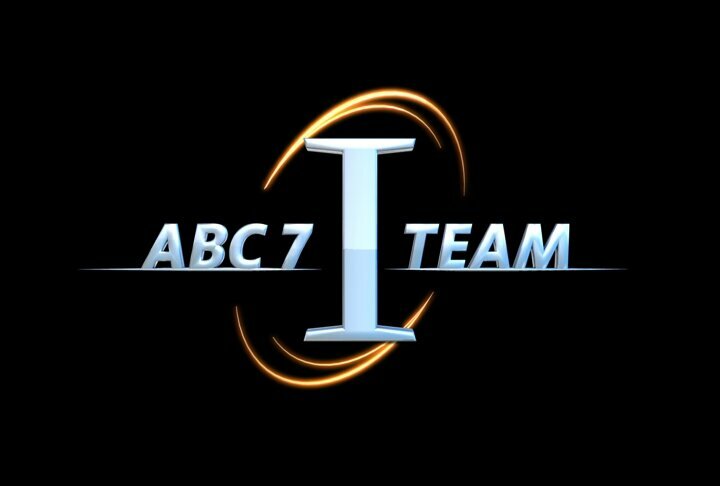 The words “ABC 7” (on the left side) and “Team” (on the right side) are set in a sans serif typeface underlined by gradient lines. The letters themselves appear in a light blue. All of the type in the logo has a subtle 3-D effect. The bursts of light around the letter “I” seem to be inspired by the circular bands of light found in the station’s main graphics package. The new look comes at a time when competing stations have been ramping up their investigative units. WBBM-TV, the city’s CBS O&O, has begun using its parent network’s “Original Reporting” tagline, while WMAQ-TV, the NBC O&O, has been heavily advertising its investigative team, “Unit 5 Investigates,” accompanied by an image campaign that utilizes gritty imagery of the city.